Greeting card and postcard services may suffer from the upcoming launch of Apple's new Cards app, which will let users send postcards by mail from their own photo catalogues, following the announcement of the iPhone 4S at the "Let's Talk iPhone" event in Cupertino, CA. Scott Forstall, Apple SVP of iOS software, announced the release of the Cards app this morning at Apple's Infinite Loop campus [ Watch the video here ]. The Cards app lets users create custom physical cards from their photos that are printed on high-quality paper, and can be delivered anywhere in the U.S. for $2.99 and anywhere in the world for $4.99. The United States Postal Service will confirm the delivery of the cards through text message. But will Apple's entry into this space be the death of companies in the greeting card space? "Today Apple just announced Cards - a new app that will allow users to create and send real physical cards from their iphone." Sincerely CEO Matt Brezina wrote on the company's blog. "Sound familiar?" Postagram, an Android and iOS app that lets users create postcards and deliver them anywhere in the world for $0.99, will face competition from Apple's new app. 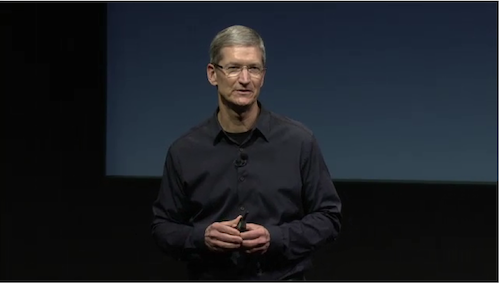 "Tomorrow Tim Cook won't be thinking about making it easier to send photo cards by mail. I will," Matt tells LAUNCH via email. "And I will next week,and the week after that, and the next month... That type of focus leads startups to create amazing services that users come to love. No big company, not even Apple, can compete with that." Matt also points out that Apple currently already offers a similar service through iPhoto, but they still don't dominate the market or deliver the best experience. Joel Wishkovsky, CEO of Card Gnome, an online greeting card website featuring curated designs by greeting card artists, tells LAUNCH that he and his team had been talking all morning about the Apple Cards announcement. But Joel says that Apple will be a big player in whatever space they decide to operate in, but that they are delivering a different type of service and if anything, Apple will hopefully open people's eyes to other greeting card options online. Shutterfly, another company that allows users to take their digital photos and print them out as postcards or other forms of stationary, took an 11% hit on their stock price following Apple's Cards announcement, according to the Wall Street Journal. LAUNCH has contacted Shutterfly for comment. We will update this story if we receive a response.